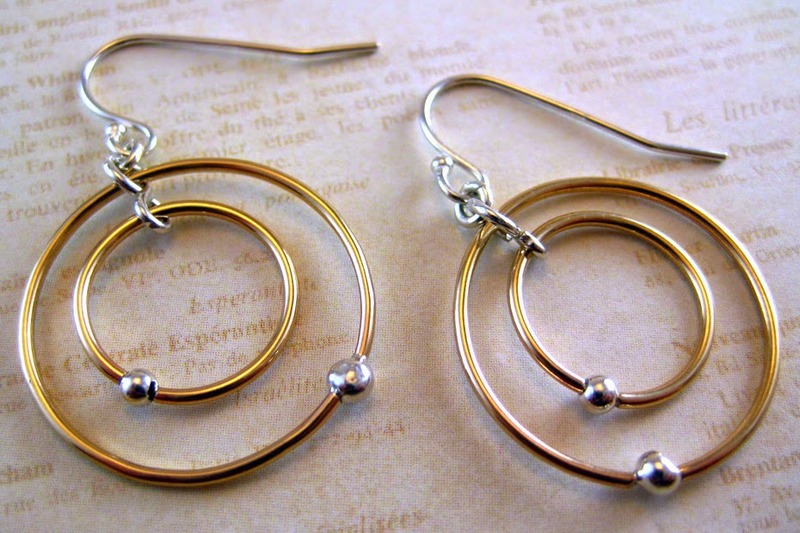 Shining Example of Naturally Inspired Silver, Gold & Bronze Jewelry. 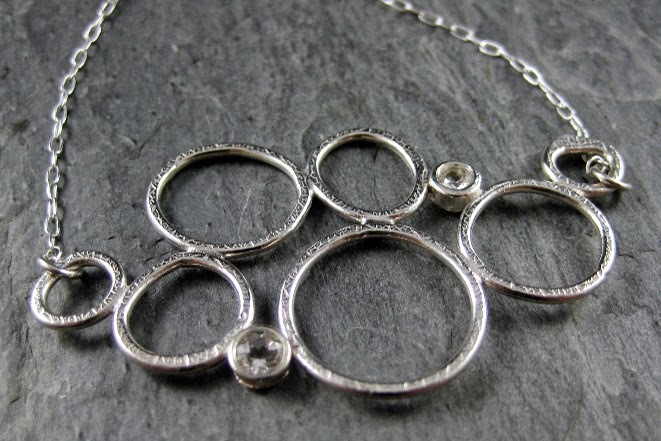 Simple, but Beautifully Magical Mix of Metals, Textures & Stones. Austin based jewelry artist Kyle Gross takes simple to a whole new level with rings, earrings and pendants that each have an subtle, one-of-a-kind beauty. His style is very characteristic in the way that he mixes metals and the occasional semi-precious stone. Even with the artful combination of several materials that by themselves are striking, these multi-metal accessories are never overdone. They’ll catch your eye, but draw you in closer to examine the understated detail. You can clearly see the care taken with every handmade piece. He says his inspiration comes from Nature with a touch of Eastern sensibility, which makes sense when you consider some of his favorite textures. 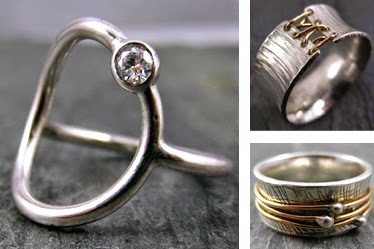 You'll find rings with Impressions of Leaves or Fingerprints as well as a range of Hammered, Shiny and Smooth finishes. With styles for both Men and Women, Kyle's specialty is rings. However, he also offers a line of earrings and pendants. One of my favorite pieces is his Orbit Ring which combines several components to create a wonderfully dynamic accessory. 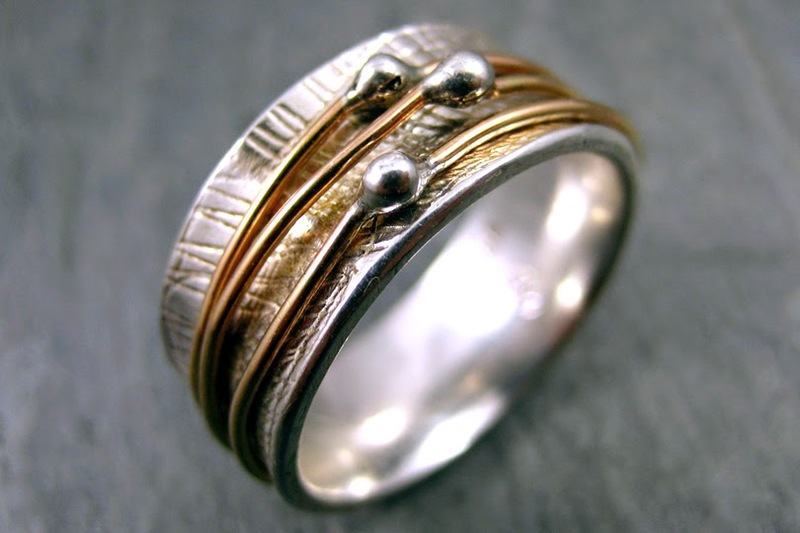 A set of thin rings atop a textured band are just loose enough that you can rotate, or orbit, them around. The other rings I find riveting feature several scraps of metal riveted together with a subtle industrial feel. 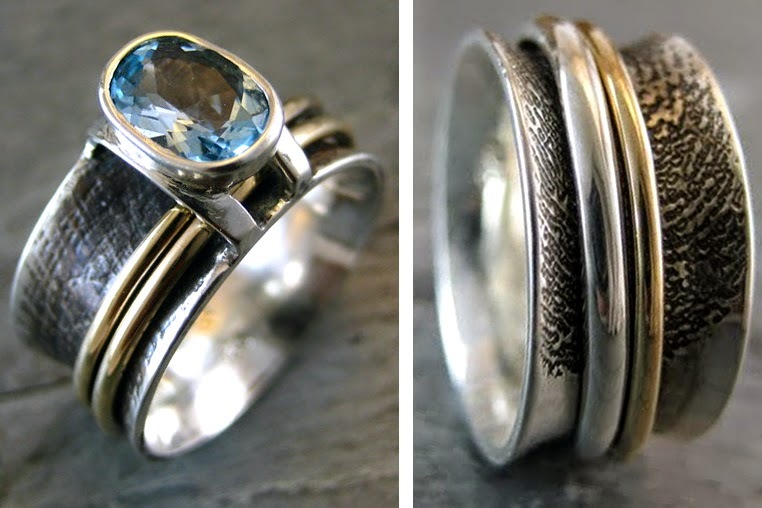 Those of you looking for a truly individual piece of jewelry might consider a custom made ring with your fingerprint or that of someone you love, ideal for expressing your connection and affection. It takes a real artist to stand out among the countless jewelry makers in the Arts & Crafts scene. Kyle Gross holds his own for his inspired style and the high quality materials he uses.